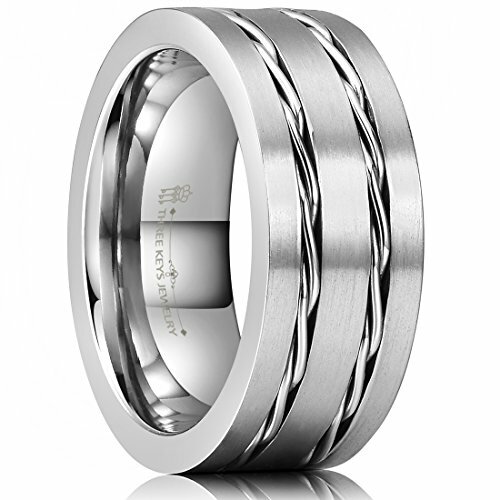 Our titanium rings are suitable substitute of white gold and platinum as the perfect wedding band ring, excellent daily wearing, wedding, engagement and anniversary gift for men and women. Titanium has become more popolar for designer jewelry for low density, and high strength. It is resistant to corrosion in sea water, aqua regia, and chlorine. Its inertness makes it a good choice for those with allergies or those who will be wearing the jewelry in environments such as swimming pools.